Our Michigan brain accident and injury lawyers strive every day to provide the highest quality legal representation to our clients. 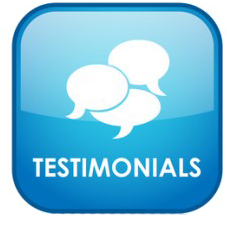 On the page below, you will find what real clients had to say about their experience with us. Find out why we are the best personal injury law firm in Michigan! Michigan traumatic brain injury client discusses her brain injury lawyers at Buckfire & Buckfire P.C. Marisa suffered a serious head injury when a shelving unit fell on her head while she was shopping at a store. In the video, she explains why she chose Buckfire & Buckfire, P.C. for her case, and how they helped her win the settlement she deserved. If you or a loved one has suffered a head or brain injury of any kind, it is important you contact an attorney immediately to determine if you are able to recover compensation. We do not charge any legal fees, and you will be represented by our team of award winning lawyers. There is nothing to lose, so call us today at (800) 606-1717.